It's that time of year when everyone is making their "Best of" and "Top Picks" lists of 2010 of everything from books to movies to blogs and more. Here at The Romance Dish, we decided to make our own personal lists of our favorite romance books published in 2010. (Note: We linked to books we reviewed.) Are any of our picks on YOUR list? What are some of your favorite romance novels from 2010? Each year seems to bring more fantastic books than the last and 2010 was no exception. I read books by my auto-buy authors and was introduced to new authors who have since become favorites of mine, spending many an hour lost in some truly wonderful stories. 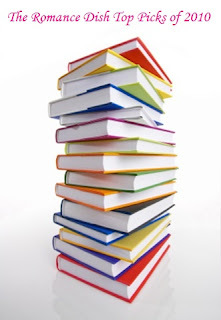 Of course, there are so many books out there that I did not get to read---so many books, so little time---but that’s what these snowy days are for, right? The following are my top 20 books that I read this year, listed in alphabetical order. 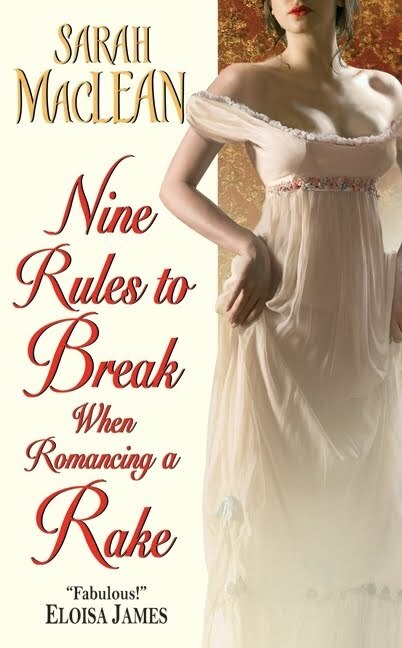 2010 was a year chocked full of fabulous romance novels in every subgenre imaginable. While I was fortunate enough to read quite a few books during 2010, I have to say that life kept me too busy to read all that I wanted to read. There are still so many books from 2010 left in my TBR pile. Two authors blew me away with not only one book but two releases in 2010. They are Lila DiPasqua and Sarah MacLean, and both deserved spots on my list for BOTH of their books. Now, while my Top Picks for 2010 is a short list (at least compared to the other Dishes), it is full of hours of fabulous enjoyment. I shared a lot of the books you guys read, auto buys for the most part. A few more that I read and enjoyed were Something About you by Julie James, Candace Camp's Scandalous (another auto buy), My Unfair Lady by Kathryne Kennedy, and the Broken Heart Oklahoma series by Michele Bardsley. I agree with both of you about Julie James. Her books are terrific! Dianna, I haven't read any books by your other three authors. I'll have to check them out! I didn't get to read Julie's latest (where does the time go?? ), or I'm sure it would have been on my list. Dianna, I love Michele Bardsley's Broken Heart Oklahoma series---so much fun! I hear you, Gannon. Suzanne Enoch had two books out last year that I never got to read and I'm sure at least one of them would have been on my list. I love her books! PJ, I think Julie is in for a long, rewarding career...which is good for her and for us! Same for me with Sarah MacLean. I have both of her books on my tbr but just haven't had the time to read them! 3. Lorraine Heath - Pleasures of a Notorious Gentleman. I see I have several favorites in common with you all, and some others, like the Patrica Rice and Julia James aren't far behind in the running for me. Always hard to select when you read a lot of good books, but this year the Noble and Long books were clear top faves for me. Lots of great books, Pam! The Noble and Long books were both 5-Star reads for me and high on my list of favorites. I have the Meljean Brook book in my tbr but haven't had a chance to read it yet. Must push it closer to the top. HOT DAMN! err... I mean DISH! I finally made a list! LOL Buffie, I'm so glad you liked Kismet enough to include it on your list of good reads for 2010. Thank you! Great list, Pam. I simply adored Kate Noble's The Summer of You! If you see a lot of your favorites on our lists, then you have great taste, Trisha! LOL, Monica! Kismet is another book I wasn't able to get to last year. I hope to this year! Hi, Lisa! 12 is a great number. ;-) And I knew you'd have Happy Ever After on your list!!! Love that book. Sinful Surrender by Beverley Kendell & Promise Me Tonight by Sara Lindsey were a nice debut. I wish I had been smart enough to go with a top 20. I narrowed mine to a top 12 (alphabetized by title). If I had gone for 20, the longer list would have included the 2010 titles by Julie Anne Long, Julia Quinn, Patricia Rice, and Kaki Warner. I too have read so many fantastic books in 2010 and choosing would just be too hard I have to say you Ladies have listed a lot of my favourite books as well and you have also listed a lot that I still have on the TBR pile that I know I am going to love. Sarah MacLean and Lila Dipasqua where great finds and both have been added to my auto buy list and I also started on Pamela Clare's I Team series and WOW they are really good. Hello, Dishers! I'm so honored to be on PJ's list with Money Honey! And if I had to name one debut author this year who just blew me away, I name Kaki Warner. I just discovered her Pieces of the Sky & am now burning through the other two on my Kindle. Thanks again! And I look forward to another wonderful year of dishing! Penfield, I have that Sherry Thomas book in my TBR pile. I hope to get to it soon! *waving* Hey, Susan! If my list had been a top 20, your Money, Honey would definitely have been on it. Can't wait for your next one! Sorry I missed the party yesterday. After the office being closed for 4 days due to ice and snow, yesterday was a very long day at the office. But I'm here today and can't wait to respond to some of these comments! Dianna, you have a good list there. I still haven't made it to Julie James' Something About You. But I am really looking forward to reading it. Hi Pam P! I see that you picked Nalini's Bonds of Justice too. I think everyone of her books is just fabulous, don't you? I can't WAIT to read Hawk's book! LOL, Monica! No, thank you for writing such a great book. I enjoyed it so much. Penfield, you have a great list too. I see Nora on your list. I'm the last of the Dishes who hasn't read Nora yet. Maybe I will in 2011. Thanks for your great list, Janga! I'm going to have to try Molly O'Keefe. I have seen her name her and there, so I really need to give her a try. YAY, Helen!! I'm so glad you enjoyed their books and made them auto buys for you!! I am nodding my head in agreement with you, Beth. I just hope life slows down just a little this year so that I have the time to read more. And if I had to name one debut author this year who just blew me away, I name Kaki Warner. Hey Susan! You know, PJ has gone on and on about how great Kaki Warner is . . . and now you too! LOL! Guess that means she needs to be on my list for this year. Oh wow! 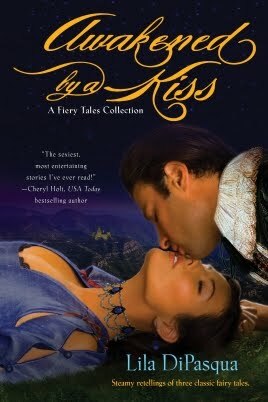 Thank you for selecting AWAKENED BY A KISS and THE PRINCESS IN HIS BED! I'm so honored to be on Buffie's list!! Oh, Lila, you are so darn welcome. Thanks for writing such wonderful works!!! You deserved to be on the list twice. And I can't wait for your full length novel this year!!! Come on, Sarah, you shouldn't be floored at all! You know how much we love your books!!! Can't wait for until Eleven comes out!! This comment is from Christina Dodd. Blogger is being ornery and not letting her sign on. 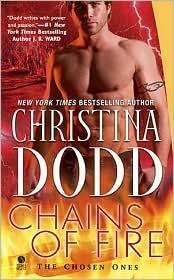 Thank you all for including CHAINS OF FIRE on your best lists! And what great company I'm in. And ::groan:: looking at the lists, I'll be at the store buying more books I haven't yet read. My TBR pile will never shrink. (Did I tell you, PJ, you're in THE WILL?) Thanks for including Open Country on your favorites list. And another thank you to you, Susan, for your kind words..which are especially gratifying to hear from a fellow author. Sorry I'm late to the party but life gets hectic sometimes. Thank you from me and from the rest of the wordwenches for including us on your lists. The company is exalted, for certain. I've read and enjoyed almost all the titles mentioned. Here's to another fabulous year for romance!